It’s been a steady start to 2015, picking up where we left off at the tail end of 2014, following us being crowned Monmore Champion Trainer for the second successive year. It was a fantastic feat and a proud moment for us as a kennel to win the championship again following a sluggish start to the year. It’s also worth noting that the majority of our dogs were the same as the previous year so many had found there natural levels but kept plugging away and picked up valuable wins. It’s a testament to the team at Rock It Kennels that our dogs are turned out to give their best on every single outing. Whether they have a chance on paper or not, they’re there to win every race should the opportunity and luck allow. 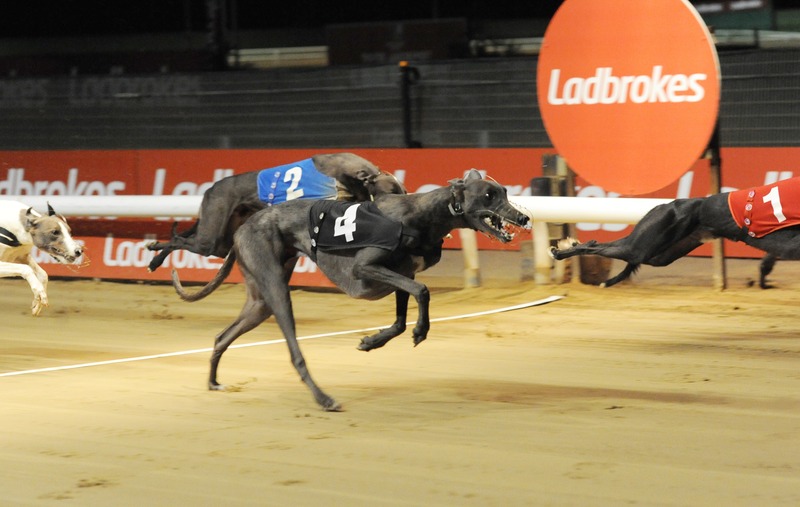 Graded wise the dogs have carried on the decent form into 2015. Klockwork Konk was the kennels first winner of 2015 when taking an A2 contest in good style. Rock It Vera scored in a tough S2 before Skyfall Act and Middleton Miss obliged soon after. Abbeyvale Naeve came back from extended injury layoff to record a win on her comeback, looking like she had never been away. The likes of As Sweet, Rock It Ruth, Rock It Myrtle and Marcos Sam are all stringing some fine form together and picking up wins and running well in defeat. On the Open Scene at Monmore, Klockwork Khaos took his first victory in Open Company when taking a 416m contest. The ever consistent, Cremartin Lark, soon took another for the kennels when scoring over 6 bends. In recent weeks we’ve ventured back on the road and it paid dividends with Khaos taking a heat of the British Bred Trophy and Nottingham. Litter Brother, Konk, also lined up in the final finished a close 3rd in his respective heat. In the final Khaos can count himself a little unlucky. Appearing to just edge in front hitting the opening turn, trouble on his inside meant he took the full force of the impact and put paid to his chances. Konk, in the middle of the trouble, avoided the worst of it and ran on for a good third spot in the final. Bog Brae was a winner of his Maiden 480 Trophy Heat at Nottingham, chased home by Bleisce Charm. They both go in next Monday’s Final and despite a less than favourable draw they’re both in great health and will give their all. I’d like to take this opportunity to thank all the owners and followers for their support during 2014 and to welcome new owners to the kennel in 2015, here’s hoping for another successful year for us all.